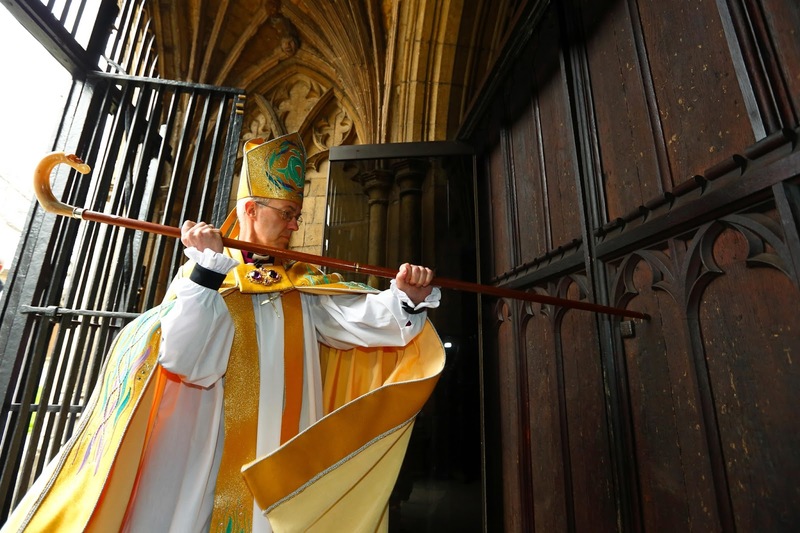 One-time oil executive and former Bishop of Durham Justin Welby was formally enthroned (twice) as the 105th archbishop of Canterbury on March 21 during a two-hour ceremony that blended an ancient liturgy with a few modern twists. Evangeline Kanagasooriam: We greet you in the name of Christ. Who are you and why do you request entry? The Archbishop: I am Justin, a servant of Jesus Christ, and I come as one seeking the grace of God, to travel with you in his service together. Evangeline: Why have you been sent to us? .Evangeline: How do you come among us and with what confidence? 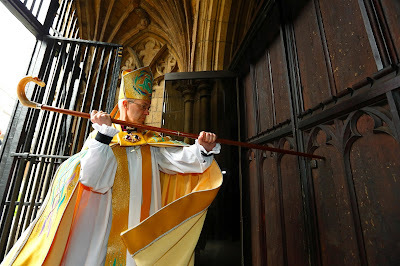 The Archbishop: I come knowing nothing except Jesus Christ and him crucified, and in weakness and fear and in much trembling. The archbishop was then enthroned in two seats – the Diocesan Throne and the Chair of St. Augustine. 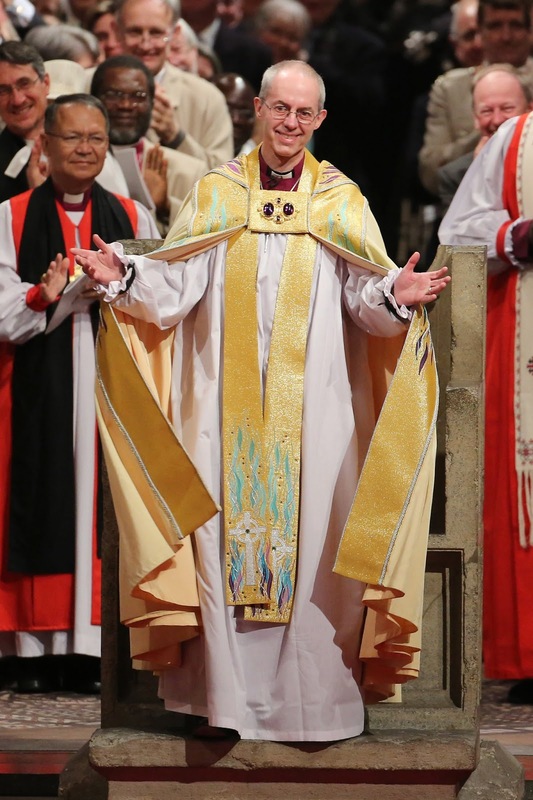 The two enthronements formalized Welby’s multi-faceted role as bishop of the Diocese of Canterbury, Primate of All England and spiritual leader of the Anglican Communion. Welby succeeds the Most Rev. Rowan Williams, who stepped down at the end of 2012 after serving as the 104th archbishop of Canterbury since February 2003. Williams is now master of Magdalene College, Cambridge. Welby is married to Caroline and they have five children, ranging in age from mid-teens to late 20s.